The Holocaust and Jewish Resistance Teachers' Program was founded by Warsaw Ghetto heroine Vladka Meed in 1985. We have more than 1100 alumni who hail from every state in the union. Every summer we take teachers to Germany and Poland to study about the Holocaust with a special emphasis on spiritual resistance. The cost rises each year, but we have tried to maintain a low program fee for teachers, realizing that they are still among the lowest paid professionals in our society. Most of our money comes from grants and donations, but as survivors, our most generous contributors, have passed away, the donations have dwindled. Yet the need for the program is greater than ever. The rise of nationalist groups spewing hatred has alarmed all of us, but there seem to be few concrete ways that we can counteract this despicable behavior. Our program is one way! Students who have a teacher well-versed in the history of antisemitism and how to combat it will not be swayed by the rhetoric of bias and violence. Please help to support us so that our program can continue. We need your help now! Applications for our program are pouring in, but we cannot proceed without the money to pay for the travel and accomomodations our teachers will require. If you care about the issues we address, if you are an alum of our program, if you are a survivor, a 2G or 3G, if you are a teacher, a historian, or if you just want to see a better world, please give. A debate rages in Poland about guilt and complicity with lies and insults being hurled against Jews by government officials. Jews are being accused of being collaborators in their own destruction! Ask any teacher who has been a participant in our program. Any one of them can tell you the truth about collaboration as they learned it from our founder Vladka Meed, from our beloved Polish guide Waclaw, from historians such as Michael Berenbaum and Deborah Lipstadt and Sam Kassow, all of whom have spoken on this topic to our participants. In all of our years traveling in Poland, I have never heard anyone refer to the sites as "Polish death camps." It was clear that the camps were purposely established by the Nazis on Polish soil and that there were Polish prisoners incarcerated and tortured there, but it was also clear that there was collaboration from the local population in the roundups and even in the killing of Jews. To call them "Jewish death camps" is to kill the victims twice! Yes, it is true that the Polish people saved more Jews than any other nation, but they also had more opportunity to do so than any other nation. That is why it is so important for the truth to be heard and taught. 2. circulate information about our program to teachers and schools in your area. Check out amgathering.org for our itinerary and application materials. I want to give a shout-out to Bruce Klasner, an alum of our program who teaches in South Florida. Bruce spoke up and said that as a teacher of the Holocaust, he would take a bullet for his students trying to protect them. He espoused the values of our program with the passion and zeal that we try to instill in all of our participants. You have my utmost respect, Bruce, for being a mensch! We have reached our goal of $15,000 and then some! Now, we enter a different stage of our campaign. If you know of qualified applicants for our seminar, please tell them to apply and to do so quickly. There are only a few weeks left until we must make our travel plans, and we have several open spots. We are looking for teachers with five or more years of service in middle and high school who incorporate the Holocaust into Language Arts, history classes, religion classes, ethics classes, art and music, genocide electives or the like. A qualified applicant has participated in some professional development on this topic which might include graduate level courses, Belfer and MTF programs from the USHMM, Echoes and Reflections programs, Jewish Partisans Foundation programs, the Karski institute, Jewish Foundation for the Righteous programs, TOLI seminars, or state and/or locally sponsored events. Our program is not aimed at an entry level applicant. For more information on this year's program, please go to amgathering.org and click on the HAJRTP Summer 2018 link. All of the information and applications can be found there. This morning I am thinking about the fortitude of women during the years of the Holocaust. I remember in particular the story Vladka would tell about her mother in the Warsaw ghetto. Vladka's younger brother was reaching Bar Mitzvah age, and though they were not a strictly observant family, it was important that this young man study for his special day of becoming a Jew in the eyes of the community. Vladka's mother had no money to pay the rabbi for the preparatory lessons, but she was not deterred. She starved herself to pay the rabbi with what little food she could put aside from her own very meager rations. The irony, of course, was that the young boy never lived to celebrate his Bar Mitzvah, but the triumph was the strength with which Vladka's mother held on to her traditions, even in the face of such adversity. These were the very same traditions that were condemning her family to death, yet she remained steadfast and determined! I have recently learned about an episode in my mother's past that I was not aware of until now. My mother saved the life of a woman from her town while they were both in Birkenau. The woman was sick and could no longer walk to work, so my mother and a friend dragged her each morning, rather than leaving her behind in the barracks to be selected for death. My mother was emaciated and sick too, but she remembered what she had been taught about loyalty and caring for others. She endangered herself to help someone in greater need. I wish I had known this story while my mother was still alive. Telling it to you now brings her back, if even for a moment. Both of these stories deserve to be heard by our students. They illustrate the best of humanity. Please help us to preserve the stories by supporting a program that emphasizes how spiritual resistance made a difference during the Holocaust. We are $126 away from our goal of $15,000! Can you take us over the top? Vladka and Ben Meed celebrated their anniversary at each Alumni conference of HAJRTP although I am not sure that February 14 was their actual wedding day. The story of their courtship sits alongside their personal heroism during the Holocaust and puts a human face on history. Each of them was involved in significant undercover work. Many of you have read Vladka's book, On Both Sides of the Wall, and know about her time as a courier. You may not know that Ben was hiding his family in a Christian cemetery where he was working as a gravedigger. And you may not know about a very close call when Ben had to hide inside a window seat because Vladka was receiving a visit from someone who could turn both of them in if they were found out. It was Ben's mother who gave the couple her ring so that they could be married. Vladka talked about their relationship as a primary reason to stay alive. After the deaths of her family she was completely alone and no longer felt the need to fight for her own life. Having Ben made a difference in her determination to save as many Warsaw Jews as she could, particularly children. 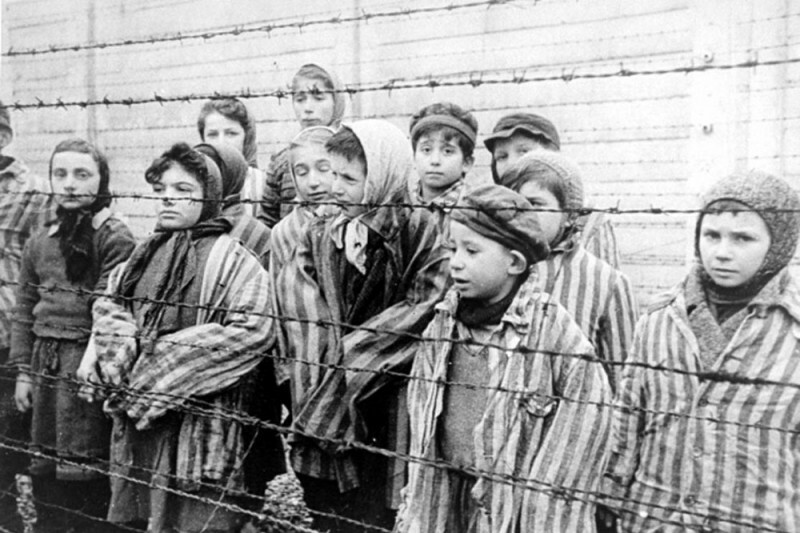 It is this human aspect of the Holocaust that our program emphasizes. We always want to stress what life was like for the ordinary person and how people coped with such life-altering events. There is so much that our students can learn about resilience from hearing these stories. And about love! Please help us reach our $15,000 goal so that we can finalize plans for our seminar this summer.